Dodder, a parasitic plant that causes major damage to crops in the U.S. and worldwide every year, can silence the expression of genes in the host plants from which it obtains water and nutrients. This cross-species gene regulation, which includes genes that contribute to the host plant's defense against parasites, has never before been seen from a parasitic plant. Understanding this system could provide researchers with a method to engineer plants to be resistant to the parasite. A paper describing the research by a team that includes scientists at Penn State and Virginia Tech appears January 4, 2018 in the journal Nature. "Dodder is an obligate parasite, meaning that it can't live on its own," said Michael J. Axtell, professor of biology at Penn State and an author of the paper. "Unlike most plants that get energy through photosynthesis, dodder siphons off water and nutrients from other plants by connecting itself to the host vascular system using structures called haustoria. 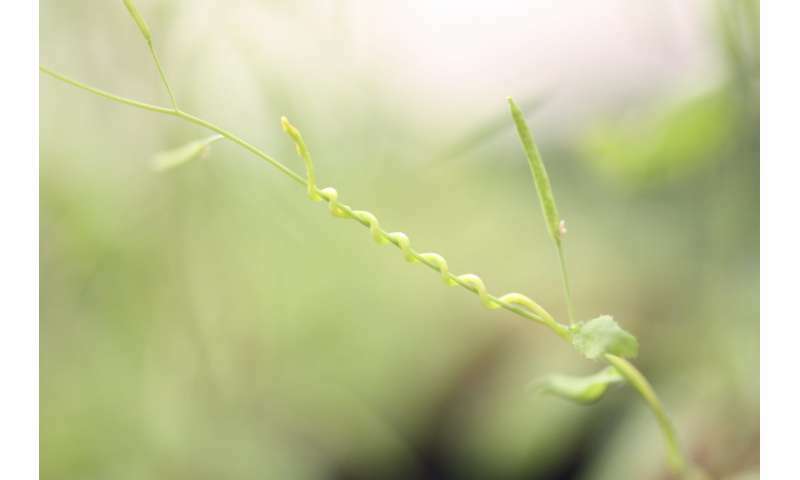 We were able to show that, in addition to the nutrients that flow into dodder from the host plant across the haustoria, dodder passes microRNAs into its host plant that regulate the expression of host genes in a very direct way." MicroRNAs are very short bits of nucleic acid—the material of DNA and RNA—that can bind to messenger RNAs that code for protein. This binding of microRNA to messenger RNA prevents the protein from being made, either by blocking the process directly or by triggering other proteins that cut the messenger RNA into smaller pieces. Importantly, the small remnants of the messenger RNA can then function like additional microRNAs, binding to other copies of the messenger RNA, causing further gene silencing. 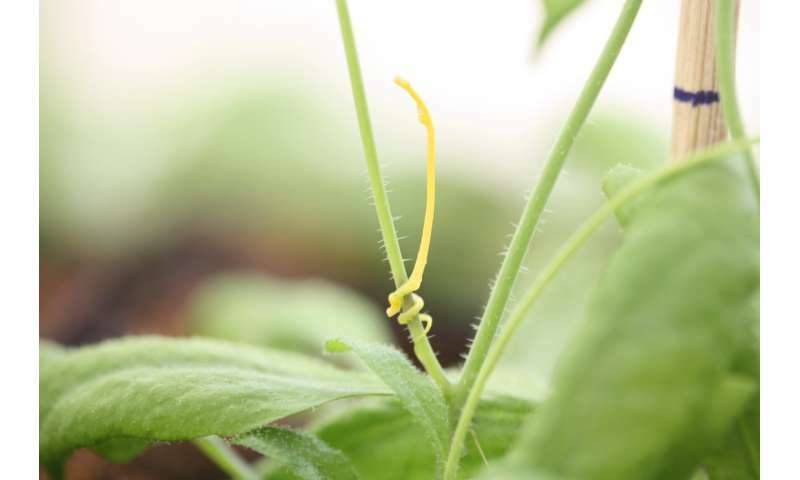 "Dodder seems to turn on the expression of these microRNAs when it comes into contact with the host plant," said James H. Westwood, professor of plant pathology, physiology, and weed science at Virginia Tech and another author of the paper. "What was really interesting is that the microRNAs specifically target host genes that are involved in the plant's defense against the parasite." "Along with previous examples of small RNA exchange between fungi and plants, our results imply that this cross-species gene regulation may be more widespread in other plant-parasite interactions," said Axtell. "So, with this knowledge, the dream is that we could eventually use gene editing technology to edit the microRNA target sites in the host plants, preventing the microRNAs from binding and silencing these genes. Engineering resistance to the parasite in this way could reduce the economic impact of the parasite on crop plants."